It's a bicycle. It's a dirt bike. it's a moped. It's fast. It does wheelies. It doesn't need tags or a licenses. 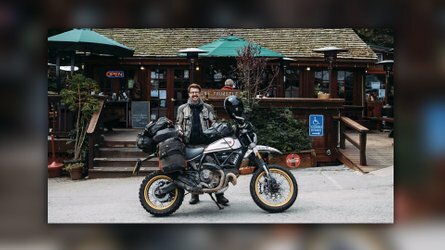 It's the Motoped on Kickstarter. It's a bicycle. It's a dirt bike. it's a moped. It's fast. It does wheelies. It doesn't need tags or a licenses. Do we really need to say anything else? All we know is we want one. 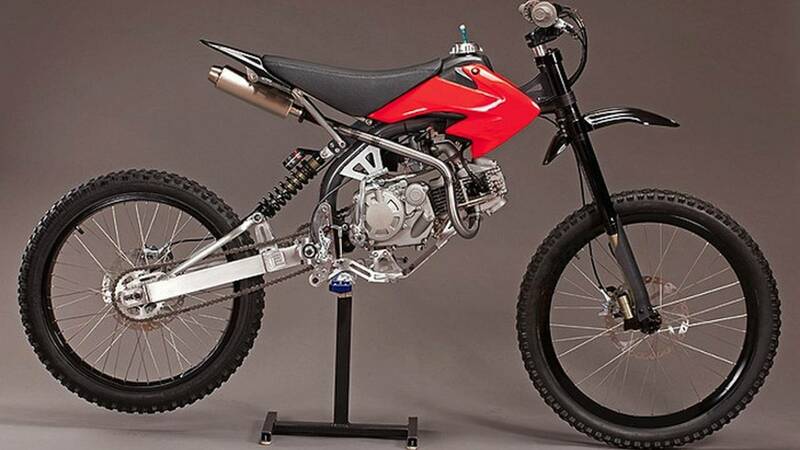 Utilizing a mixture of down-hill bicycle and Honda 50cc parts, this creation, called the Motoped, has exceeded their Kickstarter campaign target of $80,000 to cut their retail costs in half. It looks like a total blast. A nimble and skinny bike with a screaming small-cc engine. No clutch, elaborate drivetrain or extra weight, it's definitely not like your friend's scooter. 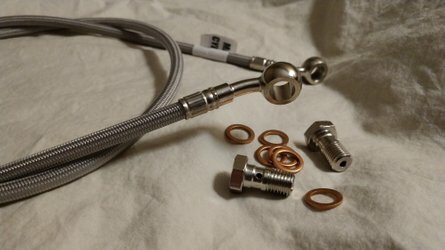 Right now a kit costs anywhere from $3,500 to $4,800. 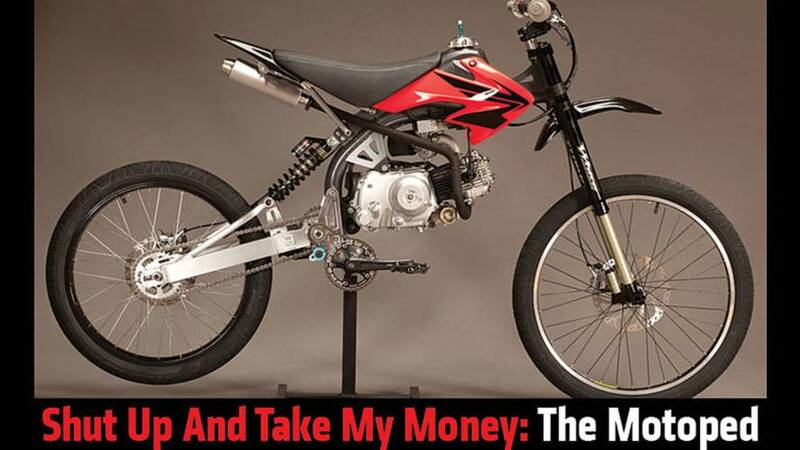 The teams' Kickstarter program was implemented to allow Motoped to make large 500-1000 run of parts in order to bring the cost down to an estimated $1,500 for a complete bike minus motor and $599 for the kit. That's insanely cheap for a engine-powered bike. Using heavy-duty, down-hill bicycle frame, wheels, and suspension with a 50cc engine. 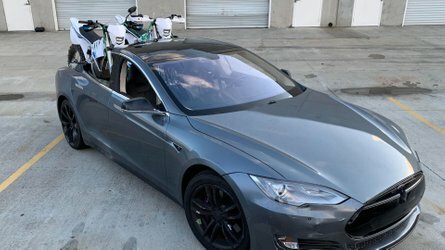 The campaign will also allow them to use newly designed parts, like a beefier frame that will accept larger engines and more aggressive riding. 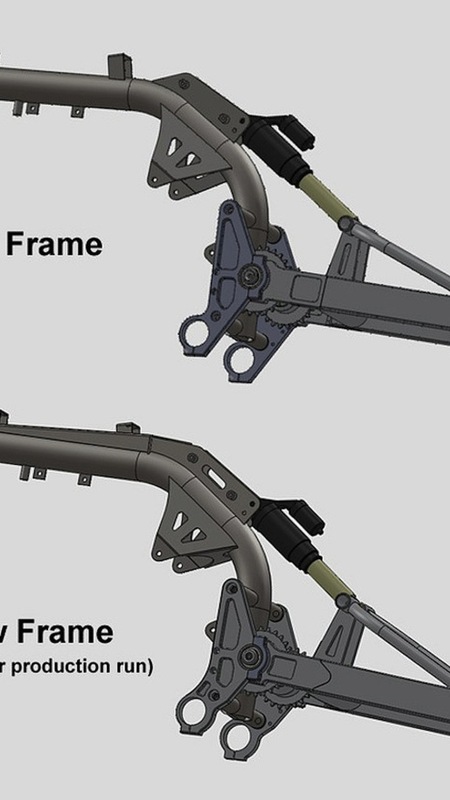 The most technologically advanced piece of the bike is possibly the swing arm. 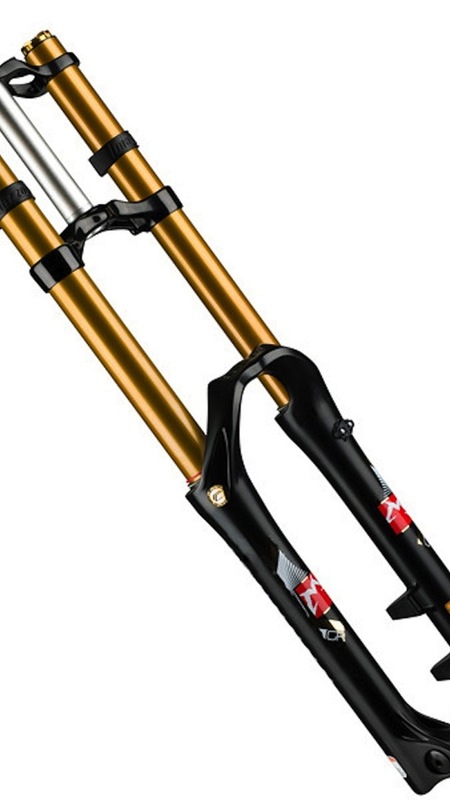 Also hand-tig welded, the swing-arm uses a single, high mounted Marzocchi shock for a clean look with plenty of travel. What makes it cool is the ability to either ride hard with the screaming 50cc engine or seamlessly switch to a pedal for riding around on sidewalks and parks. 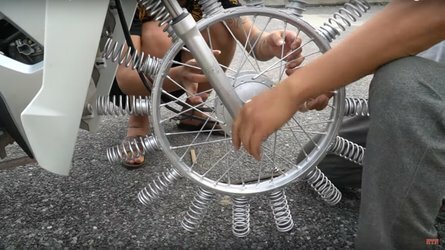 The team has been through different designs with their latest using a steel shaft with sealed bearings and an aluminum bicycle sprocket. 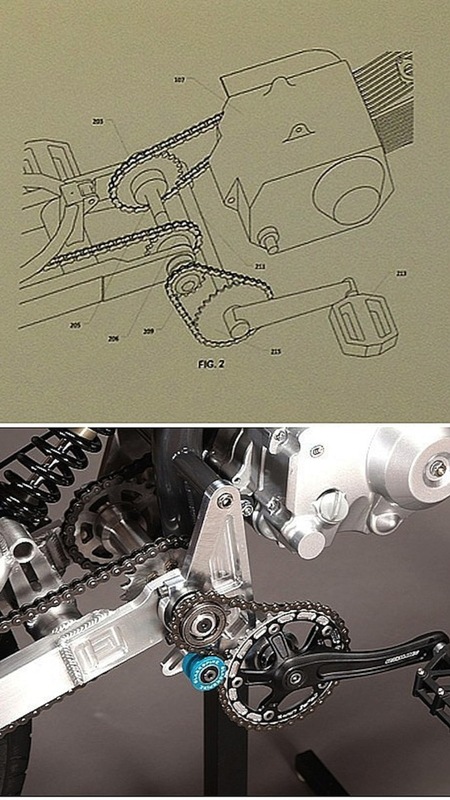 It's all integrated through the swim-arm shaft making three total short chains. The kits are sold as complete bikes minus a motor, complete kit, or frame kit. The frame kit includes all of the custom stuff like the chrom-moly and hand tig-welded frame, swing arm, jack shaft, bottom bracket, rear hub, sprockets and exhaust. That allows guys like you and I to mix and match the other parts, which are commonly found, like the 50cc engine and down-hill bike parts. The Motoped guys are smart to use, tried and true parts for the project. So if something breaks or needs maintenance, it's easy to get it worked on. Starting with the overhead-valve 50cc engine like you'd find in any kid's dirt bike and some of the Honda scooters. Based on the line of engines that range from 50cc to 190cc, so you can easily perform upgrades. The team offers a variety of options like larger-cc engines and foot pegs, dropping the bicycle pedals. The cool thing is 49cc and under with no clutch is most states don't require a license or registration to operate on the open road. No extra red tape or weird legations. Every state is different as some require headlights and taillights no matter the size.